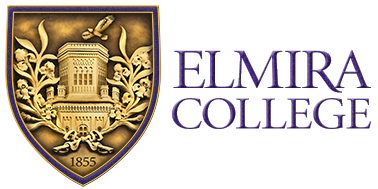 Elmira College alumni license plate cover. Purple boarder with gold writing. Purple Octagon magnet with Elmira College and image of a Soaring Eagle.